Last winter and this spring have been a different animals meteorologically, at odds with anything we have seen before. So unique that it should give forecasters pause. 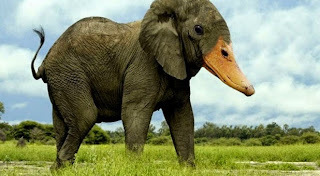 So unique that it is probably not the result of global warming. Let's start with the Big Kahuna. The lack of snow. For a number of locations, this year had the lowest April 1 snowpack on record. Here is a plot of April 1 snowpack (snow water) over the Northwest from 1984 to 2015 (green lines). 2015 was the lowest. But it is more interesting than that! The lack of snowpack was NOT associated with a lack of precipitation....which is really unprecedented. Virtually every other low snowpack year was a precipitation drought year as well. But NOT this year. 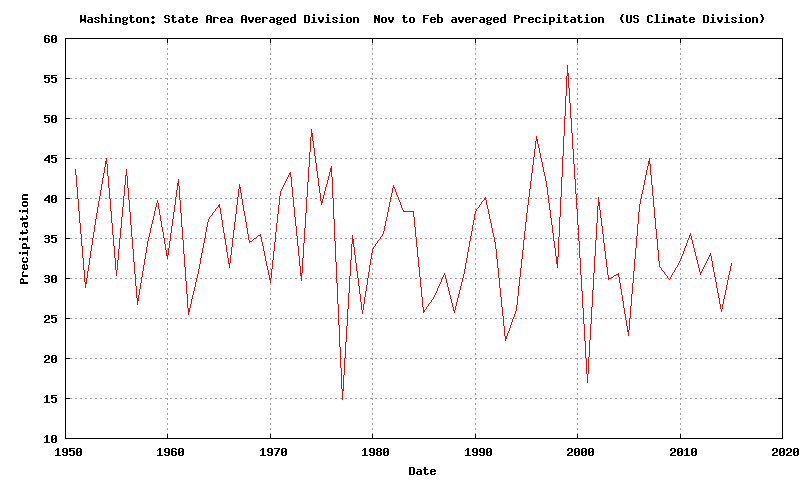 To demonstrate, here is a plot of average winter precipitation since 1950 over Washington State. Our last winter was run of the mill. But check out the previous low snowpack years (2005, 2001, 1992): all low precipitation years. So how could we have normal precipitation but poor snowpack? The answer: crazy warm temperatures. 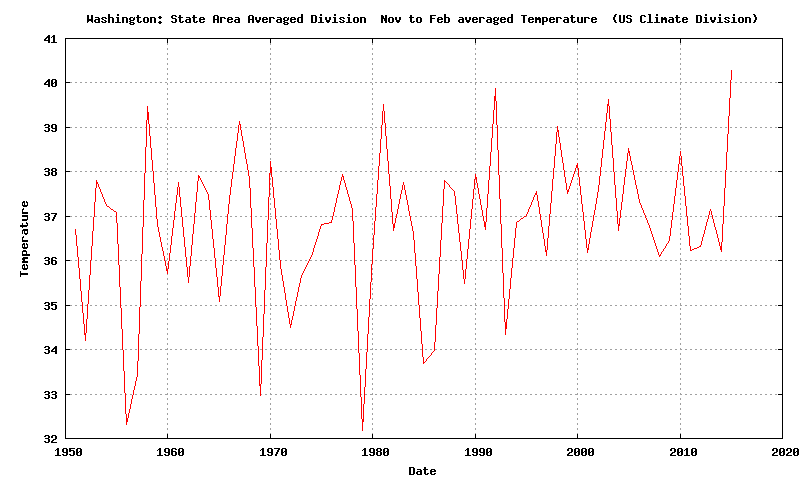 Take a look at a plot of Washington State Nov-Feb. temperatures since 1950. This year was the warmest. But wait, there's more! Something weird and extremely unusual is occurring in the tropical Pacific. 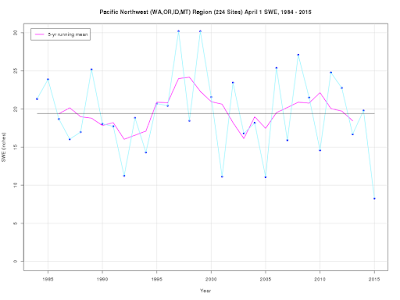 El Nino is revving up rapidly, which is very uncommon during the spring. 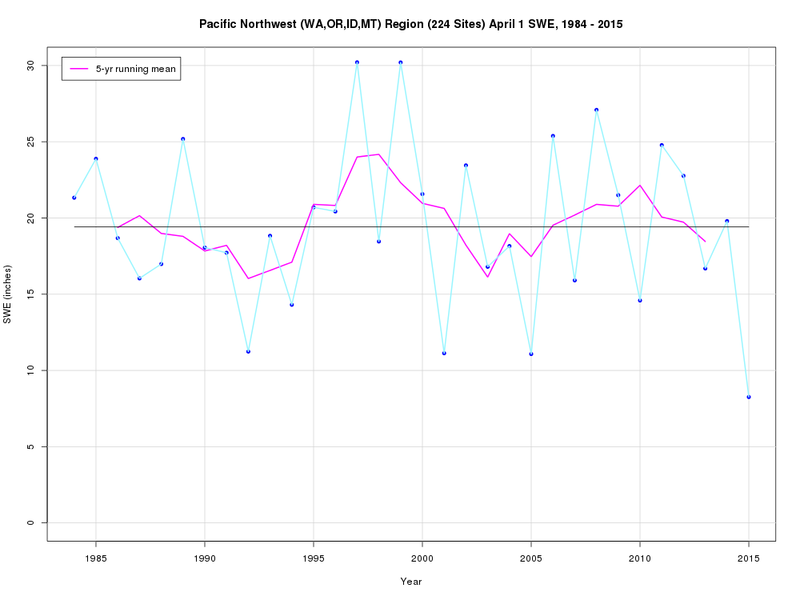 The sea surface temperature in the central Pacific (Nino 3.4 area) shows the warming. It is increasingly looking like we may have a super El Nino later this year. And that will have a significant impact on NW weather. So why are these unusual events happening? Some will be quick to blame global warming from increasing greenhouse gases, but that is an unlikely explanation of a sudden, one-off year like this. Greenhouse gas induced changes would be expected to develop more gradually. Random, natural variability is more likely as the cause. Of course, some will have other explanations: aliens, secret government weather control projects gone wrong and other ideas we won't get into. There is simply no analog for last winter and this spring in the Northwest. It stands by itself. And that is why folks (and the media) have to be very, very careful in assuming what the impacts of this weird weather will be. My next blog will consider one such claim: that the low snowpack will result in huge and frequent wildfires this summer. It may sound plausible, but as we will see, there are problems with some of the assumption being made. You seem to discount the possibility of increased year-to-year variance as an adjunct effect of anthropogenic global warming. The global weather system is non-linear and even slow transitions between long-term stable states can be quite chaotic in the short term. Your thoughts? Cliff has the radiation leak from Fukushima had anything to do with warming the Pacific waters? Cliff, I see lots of media splashes all over about the CO2 level cresting 400 ppm. The year I was born (1950) the level was approximately 320. So that's a 25% increase in 65 years (and that time frame is but a flyspeck in the geological continuum). I see a gradual upward cline imposed on a sinusoid(ish) waveform in the 2 year chart at https://scripps.ucsd.edu/programs/keelingcurve/ I also see a sharp break upwards in 1958 when the data began to be collected from the Mauna Loa Observatory when looking at the 1750 to present data. Is that inflection in the data real? Or measurement error? Or bad correlation between ice-trapped gas samples and measured CO2? I believe that the jet stream pattern from last winter was seen in the 1930s and again in the late 1950s. In such years, the weather is unusually mild in the West and unusually cold in the East. 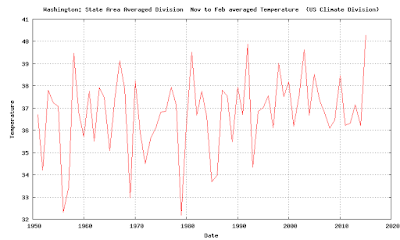 Check the records for February 1934, and I believe you will find the temps in Portland, Maine and Portland, Oregon were almost exactly what they were this year. Same jet stream. There is nothing new under the sun. No, there is no way it's the radiation leak. Not enough energy there. Extremely interesting that we have stopped having those cold winters that we got in the early 50's, late 50;s late 60's late 70's, mid 80's and early 90's. Its just stopped. Over 20 years now and none below the 36 degree mark. Not saying that is global warming, its just very interesting looking on the average temp nov-feb chart and seeing no more cold winters. Explaining the effects of a chaotic non-linear system is always going to be proximate. If that system is being subjected to external forcing; let's say, for example, the Pacific Ocean has been warming over many decades, certain effects would be expected that wouldn't be seen if the Pacific Ocean had been cooling. Your certainty that this has no agw component is curious. Chaotic, sudden changes in a chaotic non-linear system could very well be the result of a warming Pacific Ocean, warming because of agw. Bill's earlier comment deserves revisiting. Cliff asked if there might be any proof to support Bill. Consider some subjective support: Cliff stated in his post "...never seen anything like this before...". Hmmmm...if not seen before, be careful to assume it is random. A foundation of scientific research is to never assume! It's been over a million years since 400 ppm CO2. That's the wild card. Time will tell. The globe has warmed measurably, and this local warm anomaly is integral to that changed average-- which is to say, global warming was in last winter's weather. Maybe a degree more or less. It would have been a spike even if it weren't superimposed on top of global warming. I'm curious what snow pack would look like if the heat spike had no anthropogenic influence. State Highway 20 is the most northern route across the state. It crosses the North Cascades which are known for heavy snow accumulations. The highway opened to traffic in the fall of 1972 with closures in the late fall and opening in the later spring each year until 1976-77. The highway was cleared of 1976 winter snow and opened on 5/21/76. It stayed open during the summer and fall of 1976 and through the winter of 1977. It closed due to snow on 11/23/77. So, from late May of 1976 to late November of 1977 it was open. That is the only time it remained open during the winter. Abnormal? Recently the road opened on 5/08/14 and closed on 11/24/14. It opened this spring on 4/03/15. Pretty close to normal. The globe has warmed measurably, and this local warm anomaly is integral to that changed average-- which is to say, global warming was in last winter's weather. So weather isn't climate, except when a Seattle "progressive" says it is? "Greenhouse gas induced changes would be expected to develop more gradually." You frequently point out, and rightly so, that connecting short-term regional variation in weather to greenhouse gases or global patterns can be unwarranted. And by this point, most people who are concerned about or interested in the changes brought about by the unprecedented levels of CO2 do focus on decadal-scale change s in climate at the global or hemispheric level. But rejecting any potential greenhouse gas effects for our increasingly warm weather seems premature. It could be a decade or more before this last winter can be put in perspective and context and we know whether it was simply an outlier or part of a long-term change. It isn't an either/ or question. 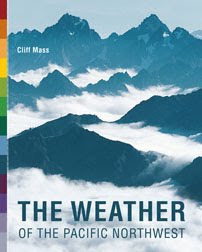 Climate change is natural variability on steroids, so yes, all of this has happened before, now it has a little more... 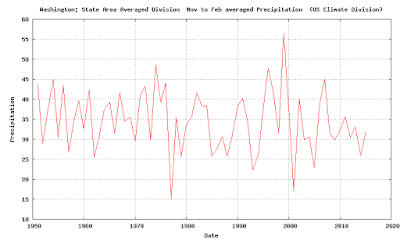 The ridging that is contributing to the drought happened in 1976-77, only now it's more persistent. The drought of '76-'77 was bad, this one is worse, the heat is a little higher, reservoirs a little lower, trees a little drier, fires burn hotter, etc. to say that this isn't "caused" by climate change is a true in a sense, it is natural variability, but it's natural variability plus. You shouldn't be so dismissive of Bill's comment. Just because the Seattle Times may have gotten the story wrong does not mean the impacts of ocean acidification are not real and won't cause large problems in the future. It is clear from the geologic record that times of high CO2 levels have also seen large extinction events in the oceans. Couldn't natural variability be amplified by climate change? Let's say 80% of the warming is natural variability and 20% is the result of global warming. Or some other combination. I don't think there would be any way to prove that though, since we are in the early stages of global warming, and just don't have enough data points. I'm more interest in the study that will be published 50 years from now, but I don't want to wait until then to curb CO2 emissions. @Lady Hawke, no, the 1977 drought was worse. So was the 1924 drought. The 1931 and 1934 droughts were very similar to this year's. The numbers are at the CA Dept of Water Resources web page. But those would be facts, and it's always a losing proposition to bring facts to a Climate Change zealot. To the extent that this year's drought appears to be the "worst," it's because the state of California's government has neglected its water system, including its necessary expansion to accommodate population growth. That's not a drought issue, but a political issue. As usual a wonderful read. I always dial in. the word UNIQUE can't be modified by SO. or for that matter, as is often seen, but not by Cliff, by very, or quite. RE "why was last winter so unusual"
Great work. 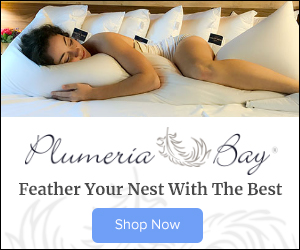 I always enjoy your blogs, and they were comforting to a beached skier this winter. the word UNIQUE can't be modified. Not by SO. As far as I know it can't be modified by anything, including very, or quite, as is so often seen. All the discussion about if one particular event (a low snow pack year) is driven by agw misses the key point. Although Cliff finds that it is not, he has stated many times in previous posts that agw is real. The question is only how bad will it be? Here in the US we tend to focus on super storms, global sea level rise, a lack of cheap shell fish, and yes, our in ability to participate in expensive gear intensive snow sports that require us to own SUV's. The reality is, as we arrive at peak population of nine to ten billion, the most pressing consequence of agw will be the strong negative correlation between the yields of our staple crops, and average temperatures in the the growing season. Or in plain english: even if the lest bad agw scenarios of the IPCC play out we are going to be hard pressed to feed our population. This could easily amount to starvation on a massive scale. The science of that negative correlation does not seem to be much in dispute. At a time when we need to increase food production to keep up with population, even a small decrease in yields driven by agw will be a disaster for millions, perhaps billions. Is there a solution? I think so. I build solar panels for a living. So I know something about it. Solar alone wont solve our energy needs. But a globally connected electrical grid fueled by wind, hydro, solar and nuclear power can obviate the need for fossil fuels in electricity production. The technology exists, and if you do the math, it would work. It would not even be the single largest undertaking in human history: WWII would be larger. But it would be the largest after that. If you are interested in this start by reading the excellent free book: Sustainability without all the Hot Air. The global non-carbon grid would not stop all fossil fuel burning, of course. We would still need steel to give just one example. But it would reduce our emissions substantially; enough hopefully, that we end up in the least bad situation, allowing us to muddle through rather than the most bad projected situation, ending our civilization, and ensuring that most of our offspring will not survive. We can solve global warming but it will take a global solution. The sun is always shining somewhere on earth, and that is the basis of the solution. You are simply wrong. One quite verified effect of rising CO2 levels is higher crop yields. This is one reason why greenhouses are so fertile. It is also why marijuana grow shops sell CO2 tanks to indoor growers. I build solar panels for a living. So I know something about it. Solar alone wont solve our energy needs. But a globally connected electrical grid fueled by wind, hydro, solar and nuclear power can obviate the need for fossil fuels in electricity production. The technology exists, and if you do the math, it would work. See "marijuana grow shops" above. The serious answer is very long. The short and maximally charitable answer is that it's obvious that you have not looked at the details, or the math. I, on the other hand, actually have done so. You're wrong, completely and hilariously. Should I buy a season pass at Crystal this year? You are confusing temperature and CO2.
" Despite the complexity of global food supply, here we show that simple measures of growing season temperatures and precipitation—spatial averages based on the locations of each crop—explain ~30% or more of year-to-year variations in global average yields for the world's six most widely grown crops. For wheat, maize and barley, there is a clearly negative response of global yields to increased temperatures." There isn't much dispute about this point in the scientific community: increased global temperatures will reduce global crop yields. They already have.